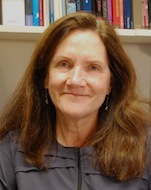 Sarah Conly is the author of Against Autonomy: Justifying Coercive Paternalism (2012). She is assistant professor of philosophy at Bowdoin College, Brunswick, Maine. Photo: Rebecca Goldfine.